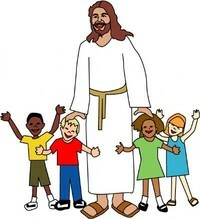 Lighthouse Kids Club is our Wednesday program for children! It is a night full of non-stop fun and Christ-centered teaching. This class is for children in 2nd through 6th grade . Lighthouse Kids Club meets on Wednesday evenings during the school year from 4:00 – 4:30 p.m. Dinner is provided after class at our No Strings Attached meal. Children join their church friends and are encouraged to invite their school and neighborhood friends to spend the evening with them praising Jesus and studying His word. Our prayer is that this weekly experience will bring them closer to the understanding that Jesus is their Savior and that there is nothing better in this life than being His disciple and friend.